PSA’s KS-47 has impressed me. Normally I’m ambivalent to Palmetto State Armory. I know who they are and what they are about and I’ve just never really been impressed with them. That changed today. Take a look at the KS-47 Hybrid. It’s an AR that is chambered for 7.62x39mm and runs AK type mags. Yes, this is something that’s been done before. But this is now something that is done well. And it’s from PSA. 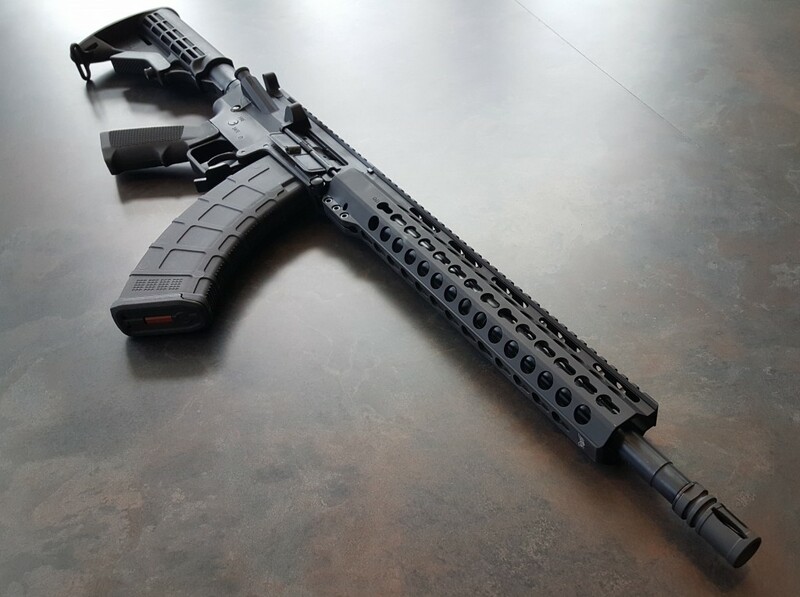 This is coming from PSA for about 850 Retail, with free-floating keymod handguards, a wide mag release that can be used with your trigger finger, right or left handed, or you can to the AK Mag Snap move. You can swap the furniture out with any common AR swag you want. 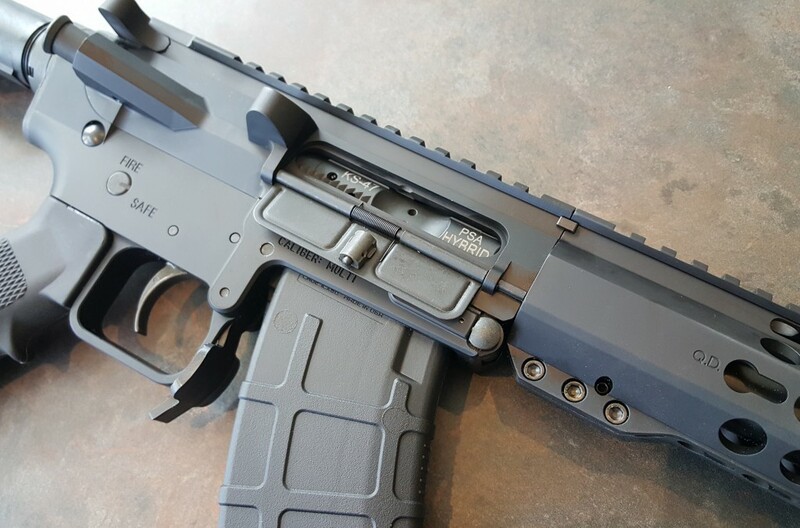 I’d put an Ergo grip on it and a Battlelink minimalist stock. 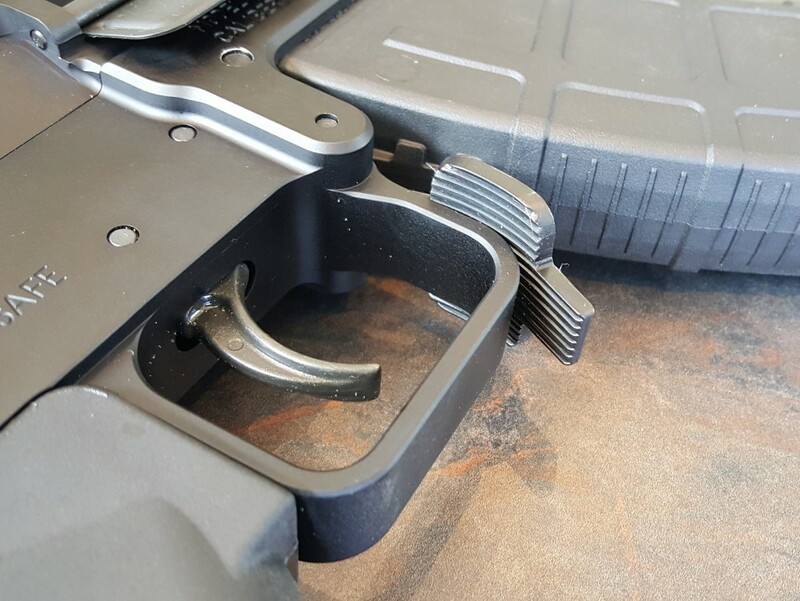 A set of Magpul Pro sights… and a Battlecomp muzzle break. Done. This gun is well made. Tight fitting between the upper and lower, and it’s well thought out. The parts are all fit well. Nothing is sloppy and nothing feels cheap or poorly done. It’s solid. It’s a solid rifle. PSA – You done well. I am strongly considering trading something in on this. No, I’ve not shot it. It’s a new gun and we don’t shoot new guns at the store. But I really want to. Really bad. I could trade something for this. I really could. Maybe I will.